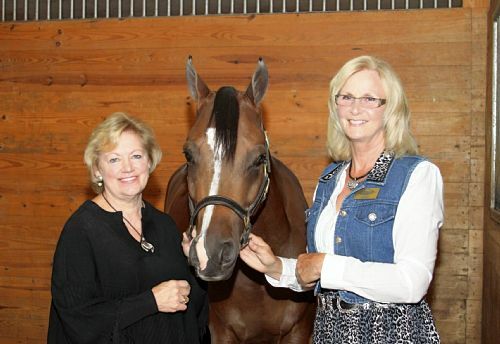 Keepsake Arabians Equestrian Center in McDonald was the fabulous setting for the third annual Cradle Will Rock benefit sponsored by the Twenty Five Club of Magee-Womens Hospital of UPMC. The benefit on Saturday featured an auction of customized and autographed rocking horses along with country music and garb and, of course, a chance to meet the award-winning horses being raised by Keepsake owner and Twenty-Five Club member Faye Sampson. Rona Dane chaired the benefit to support neo-natal and newborn medicine and research at Magee.